We are glad that you are here. We invite you to spend some time getting to know us. We are committed to serving the internet community with quality Christian broadcasting and trending subjects. The goal is to share the gospel of Jesus Christ throughout the world, and teach the kingdom of God in all it's aspects. Kingdom A-Z (KAZ). KAZ Radio TV is unique, because we stream live 24/7 and all shows are streamed live on FaceBook, YouTube, Apple TV, Roku TV, Periscope as well as Amazon Fire TV and our website. KAZ reaches every mobile device and computer in the world. 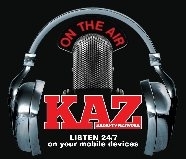 You can tune into KAZ Radio TV and enjoy music, talk radio and more. Hear from every day people like you, talk about a variety of christian subjects and share their insights. 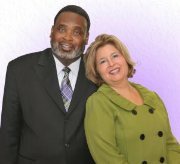 We Strive to bring inspiration, information and the gospel of the Kingdom Of God to our listeners and viewers. We hope that you will come away from this site encouraged to be a regular visitor and to bookmark KAZ Radio TV .